Haven Farmhouse is a three bedroom rural farmhouse which adjoins the owners home. 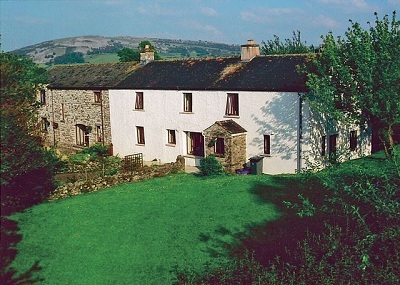 It is situated on the South East edge of the Lake District and is 10 miles from Lake Windermere. The house has been restored and refurbished to a high ceiling and retains some original features such as beamed ceilings and open fires. The open plan living area is well equipped for a relaxing holiday with comfortable seating, TV, DVD and video player as well as a dining table and 8 chairs. The kitchen includes modern conveniences such as a dishwasher and washing machine. Upstairs there are three bedrooms: two double rooms, one of which has an additional single bed and a twin room. There are two bathrooms, one of which is a downstairs shower room. Outside there is a garden with patio furniture. There is also free fly fishing (licence required). Pets are allowed (maximum 2 dogs).